Size of Flossgrip floss handle, compared to a pen. Click on the picture to see FlossGrip at scale1/1. 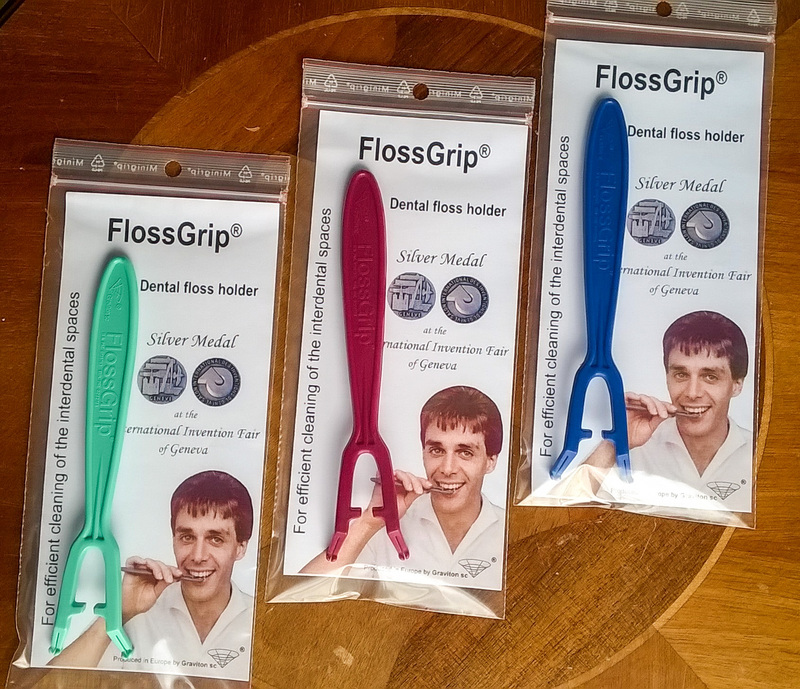 In agreement with the European standard AP (89) 1, the pigments used to colour FlossGrip floss handle are 'for food use'. For example, they do not contain heavy metals, such as cadmium.